For three decades, the signature "W. C. Hook" has connoted dynamic design, saturated color, and compelling brushwork. William Cather Hook's ability to straddle the border between pictorial illusion and pure paint, between traditionalism and modernism, has won him collectors worldwide. Less known about this versatile colorist is the breadth of his subject matter. Through his paintings and observations, Hook guides the reader on a journey that includes the back roads of northern New Mexico, the high country of the Colorado Rockies and Sangre de Cristos, and California's Route 1 coastline and central valley. The Sonoran Desert, English and Italian countryside, and garden still lifes are also the subjects of this master of acrylics, whose vision is inviting, vibrant, and infused with radiant light. Also explored in this retrospective is Hook's working methodology and his biography, from his Kansas roots to his current studios in Santa Fe, New Mexico, and Carmel, California. 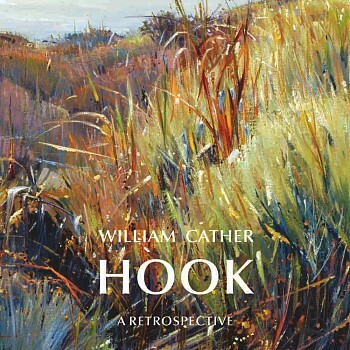 Hook's love of the land and philosophy of art are complemented by his namesake, Pulitzer Prize winning author Willa Cather, whose comments parallel his passion for capturing the nuances of earth, sea, and sky.